President and CEO, TDI-Brooks International Inc. Since it’s inception in 1996, Dr. Brooks has been the founder, President and CEO of TDI-Brooks International, Inc. a certified Engineering Firm in Texas specializing since 1996 in offshore research and survey studies for the oil industry as well as for federal and state agencies. TDI-Brooks performs scientific marine surveys and laboratory analysis of water, tissue, and soil. The company owns and operates three research vessels — R/V Brooks McCall, R/V Gyre, and R/V Proteus. Formerly, Dr. Brooks was founder and Director of the Geochemical and Environmental Research Group (GERG) at Texas A&M University. During his tenure as Director from 1975 he built an organization specializing in high quality analytical, oceanographic, and environmental research and services. There he ultimately directed a staff of 130 people, including 28 Ph.D. level senior personnel, 60 professional MS-and BS-level full-time research associates, research assistants, technicians, graduate research assistants, and 40 other staff. 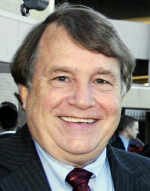 Dr. Brooks has served as Project Director on many federal projects for the National Oceanic and Atmospheric Administration (NOAA), the US Environmental Protection Agency (USEPA), the Office of Naval Research (ONR), the Bureau of Ocean Energy Management (BOEM), and the US Fish and Wildlife Service (USFWS). He has extensive experience in the management of large environmental and oceanographic projects as well as the technical competency in environmental chemistry, organic geochemistry, geochemical exploration, oil spill assessment, gas hydrates, chemosynthetic ecosystems, stable isotope geochemistry, and oceanography. He acquired academic credentials consisting of 200+ peer-reviewed publications, including numerous publications in prestigious journals such as Science and Nature. He has served on many national committees, conferences, and workshops as well as chairing 19 M.S. and Ph.D. committees at Texas A&M University and has won the Faculty Distinguished Achievement Award for Research awarded annually by the Association of Former Students of Texas A&M University. His research has yielded many early discoveries of gas hydrates, oil seepage, and chemosynthetic mussels, clams and tube worms. Dr. Brooks has been conducting scientific research and oil industry-sponsored service projects for the last 40+ years. As part of his seabed geochemical exploration studies, which he developed for industry in the early 1980s, his teams have collected approximately 13,000 cores in the Gulf of Mexico, and more than 30,000 worldwide. These coring surveys resulted and contributed to the discoveries of macro oil seepage, chemosynthetic communities, and gas hydrates in the Gulf of Mexico. He was a co-discoverer of oil seep and chemosynthetic communities in the deep water Gulf of Mexico in 1985. He made the first discoveries of thermogenic gas hydrates in the deep water Gulf of Mexico that was published in Science, as well as participated in the initial discoveries of other oil-seep related phenomena including oil-stained cores on the continental slope, widespread occurrence of shallow and outcropping gas hydrates, brine seepage, and visible oil seepage to the sea surface. He has also made the first discovery of chemosynthetic ecosystems offshore West Africa north of the equator.